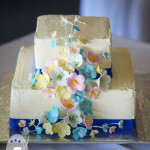 The first of my April wedding cakes this year travelled to the exquisite Summergrove Estate wedding venue, located at Carool in the Tweed Hinterland. It was on these beautiful grounds that Krystal and Brent celebrated their wedding with family and friends. 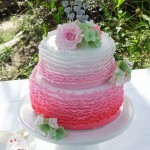 I was honoured to have been chosen to create their very special wedding cake. 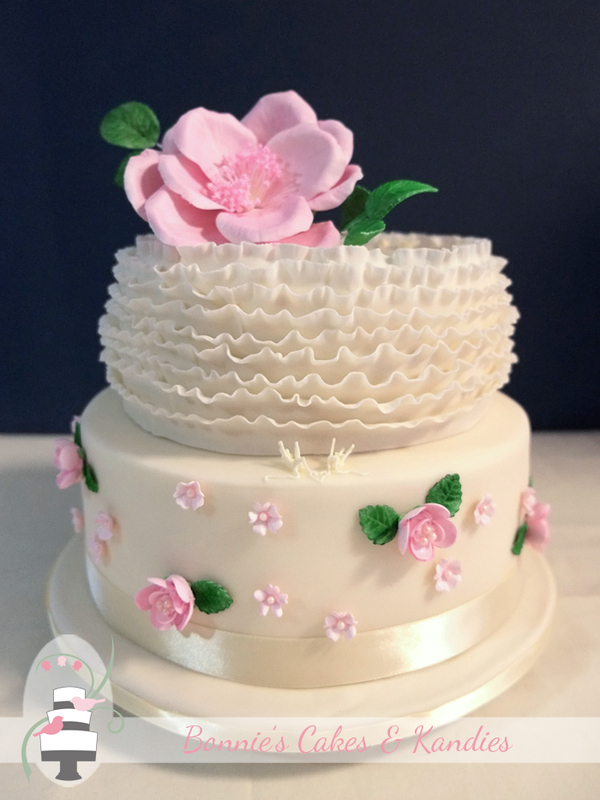 Krystal and Brent chose a recreation of my ‘ruffles and roses’ cake – one of my favourite designs from 2014. 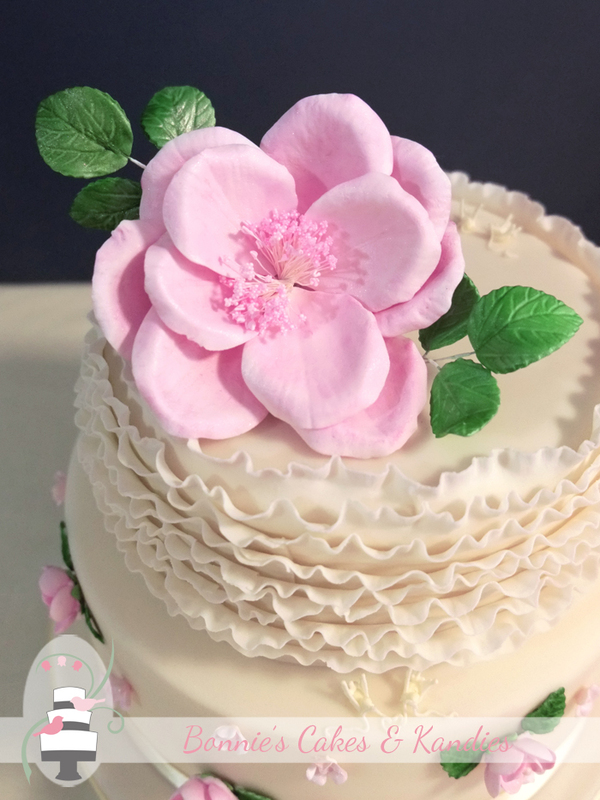 Decorations included delicate ruffles around the top tier, a dance of pearl-centred primulas and small roses around the bottom tier, and a large open rose statement flower in soft pink on the top of the top tier. 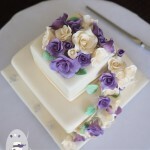 Krystal sent me a lovely email after the wedding to let me know how much the cake was enjoyed. Their guests were treated to fruit cake and dark chocolate mud cake, which were not only vegan, but also gluten free. 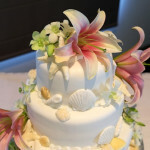 Creating beautiful and delicious celebration cakes to suit special dietary requirements is something that I take great pride in, especially when the celebration is something so wonderful as the beginning of a marriage. On that note – I’d like to wish the beautiful Krystal and Brent a wonderful marriage. Congratulations and all the very best for each and every day of your journey together.